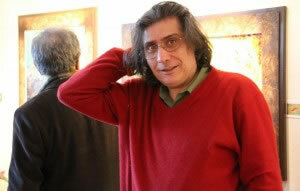 Mostafa Azizi's Dad Had Brain Hemorrhage When For The First Time He Visited His Son At Evin Prison ! According to HRANA a human rights activists group in Iran ,when for the first time on last Wednesday Mostatfa Azizi's Dad visited him at Evin prison he had a brain stroke due to stress he went through and he was transferred to hospital. 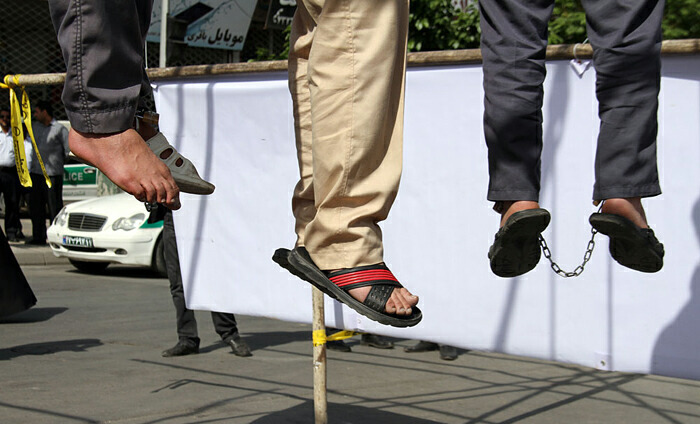 It was in the news that, when his father attended at Evin prison , he was unable to walk on the stairs and instead the prison officials made another option to bring his son to another location for the visitation when due to stress , he had the stroke and was transferred to hospital without able to see his son. Mostafa Azizi spent a month in ward number 2 -Alef in Evin prison run by Sepah Pasdaran ( revolutionary guards ) and later he was transferred to ward number eight in Evin prison. According to news Esmail Abdi the general secretary of Iran Teachers Union is arrested ,while he was following why he was banned and is not allowed to leave the country . According to report Mr. Esmail Abdi together with their teachers union lawyer on Saturday attended to public prosecutors office at Evin prison to find out why he was not allowed to leave the country , when he put against the wall , arrested and detained. 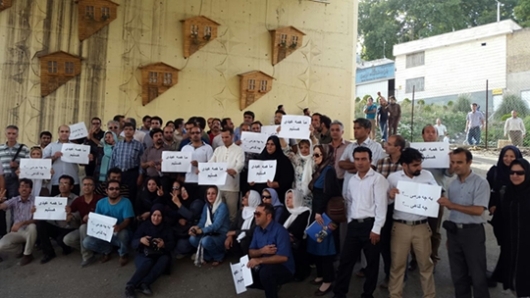 After his arrest , four representative of the union attended at Evin to speak with public prosecutor about their leader ,when they were told to disperse until further notice. A " Khorasani " Blogger Is Sentenced to Three Years Imprisonment ! 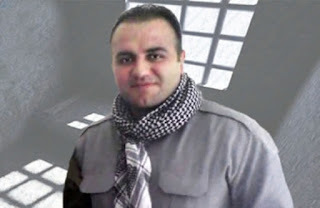 According to HARANA Aa human rights activists group Zainolabedin Ghaemi a blogger from Khorasan province is sentenced to three years imprisonment . He is allegedly charged with , insulting the leader of the Islamic Republic , propagating against the state and disturbing the public peace . Mr. Ghaemi was sentenced by presiding judge Milanlouei from the court of revolution in the city of Ghaen. Two Azari ( Iranian From Azarbayejan) Were Earlier Sentenced to 13 Years Imprisonment But Appeal Court Found Mistakes in The Sentencing ! According to Avian News , the division number # 7 of the court of appeal sent the case file of two Iranian Azari in lower court for correction. 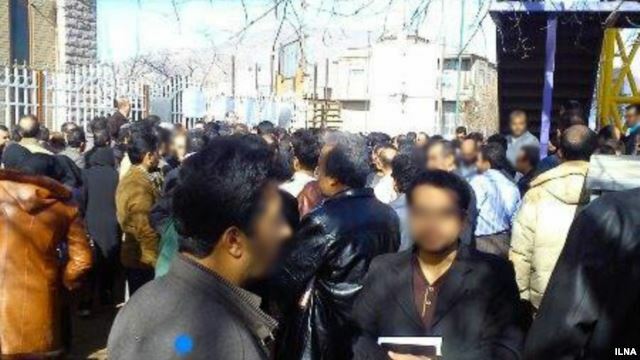 The two Iranian Azari ; Hossein Ali Mohammadi and Teh Kermani ( From East of Azarbayejan ) were sentenced earlier to three and then to thirteen years imprisonment by judge Bagherpour from division number 3 of the court of revolution in Tabriz city on charges of " insulting the leader " and " Propagating against the state" . Both are charged for their writing on publication known as " Sousma " and blog known as " Souzgoul " . The defense lawyers for both activists have protested to the sentencing and sent the case for appeal which is approved by presiding appeal court judge on need for correction . Labor Section Reporters of ILNA ,The Reason We Were Expelled From ILNA News Agency : Continued " Fighting " Between Us and Three Organizations ; " The ILNA Management" , "The Labour House " and "The Ministry of Labor"
There were continued fighting between us and the three organizations : The Ministry of Labor , the ILNA management and the Labor House. They said in their letter that , the highest point which caused them to be fired was about the censorship of the news on " Farsit - Doroud " workers gathering in front of the Labor Ministry building. According to them the owner of ILNA told them that, these workers are asking too much and their protest are not legitimate / right. "on this fathers day all I can wish for is us being together again, just like this picture. my father deserves to be with his father and children on fathers day! and I deserve to be able to call him and wish him a happy fathers day " ! "Labor reporters of ILNA all together were expelled from the Agency , the reasons can be guessed, but soon we will release an explanation. For those who have asked i will say this , the five member team of ILNA labor news reporters were expelled today, although my ranking was as an editor of the group but every one knew that ;our group were functioning as a council , thats why they expelled all of us . For those who follows the labor news it is clear to them , but we will write about this when the angers are cooled down ." In the last two days since Saturday and today the website of ILNA did not renew its labor news section and that is because of the expulsion of its labor news reporters . ILNA is a major news reporter about labor news in IRAN. We have to wait and see what the reporters are going to write about this expulsion . Islamic Regime in Iran Sentenced Mohammad Ali Taheri the Imprisoned Leader of the " Erfane Halgheh " to Death ! According to news and based on what Mahmoud Alizadeh Tabatabaei lawyer of Taheri said his client Moahammad Ali Taheri is sentenced to death by judge Moghiseh the judge of branch 28 of the court of revolution for alleged crime of " Corruption on Earth " . He added : All that my client Mohammad Ali Taheri did was based on the permission he was given and therefore there was no reason in the case file for such sentencing but now they have sentenced him to death and i have not received yet the verdict. In February of this year 16 member of the " Erfane Halgheh " group were sentenced to a total of 37 years imprisonment and 130 million Tuman confiscation of properties. Mohammad Ali Taheri is the founder of the " Cultural -Artistic Erfane Halgheh " a kind of medical scientology group . They believe people's suffering can be meditated by their methods. Ms. Shahindokht Molaverdi Deputy of Women Issues to President Rohani Is Unable to Influence for The Iranian Women To Enter The Stadium ! According to Sharq Newspaper Even shahindokht Molaverdi the deputy of Women Issues to president Hasan Rohani is unable to get permission from Minister of Interior to let the Iranian women to enter the stadium to watch and support the volleyball game between Iran and US team taking place inside Iran. The minister of interior of the Rohani's government is a hard liner . Rahmani Fazli the minister of interior earlier said ,he would not allow the radical Islamist to hold rally about this issue but on Wednesday about 100 radical moslems hold a rally in front of interior ministry and chanted anti women slogan and warned women if they have entered stadium there would be clashes. Although earlier the government planned to let about 500 women mostly the family members of the Iranian players to enter the stadium and watch the game but in recent days this plan end up with no result and as a result no women will be entering the stadium. The World Volleyball Federation in the past threatened Iranian volleyball federation to let the Iranian women to enter the stadium or else the committee will withdraw Iranian volleyball team from the games. 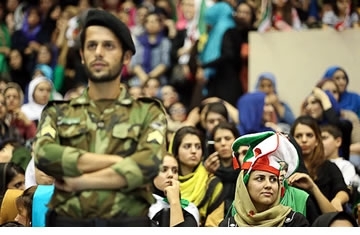 Before the revolution the Iranian women could enter the stadiums , it was after the revolution they were bared from entering the stadiums ,Sharq newspaper said. After speculation that the Government of Hasan Rohani will let the Iranian women to enter Iranian sport stadium to support Iranian national teams , the reports indicate that ,the Iranian women won't be able to enter the stadiums. After some threats by radical moslem groups from Paydari Front a group close to Ayatollah Mohammad Taghi Mesbah Yazdi , to hurt the women if they entered stadiums , the balance of power weighed more to the radicals and the ministry of interiors issued ban on the women to enter the stadiums. How on earth in 21st century a regime can do that to bare the women from entering the stadium to support their national teams. 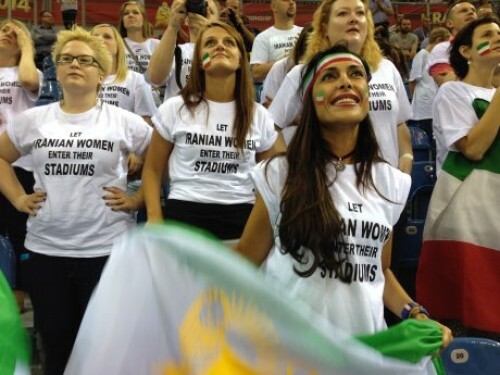 Because of this decision, all Iranian women are unable to enter the stadium to watch the women volleyball between US - Iran . US team should stop playing in support of Iranian Women ! Mohammad Moghimi Lawyer of Atena Farghdani the imprisoned Women Rights Activist is Detained !!?? 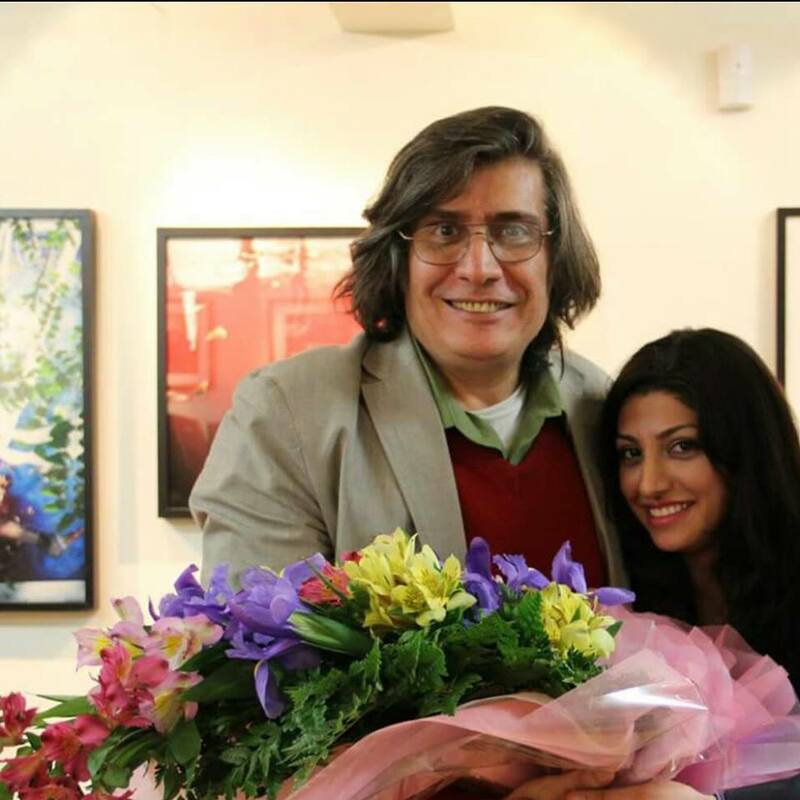 Mr. Mohammad Moghimi is a human rights lawyer and was appointed by Atena Farghdani as her lawyer to defend her case. Moghimi the lawyer was preparing the appeal transcript for his client when he was arrested and detained in Rejaei Shahr prison. Lawyer Moghimi was arrested on Saturday while visiting his client Atena Farghdani at Evin prison when he was arrested and detained also but in different prison in Rejaei Shahr prison. According to HRANA ( A human rights activists group), mr. Dawood Nemati a friend of Moghimi reported about his arrest . He has indicated that,a person by the name of Hamidi has arrested him . Lawyer Moghimi in a telephone contact indicated that, the judiciary has ordered for a 20,000,000 million Tuman bail. Atena Farghdani is a painter and a human rights activist . She is currently in Evin prison and recently sentenced to 12 years and 9 months imprisonment by judge Salavati. Solmaz Ikdar Journalist , Social Activist And Defender of the Rights of Children And Women Is Arrested ! According to news Solmaz Ikdar who had received a summon from the court in the past is arrested today. Ikdar has worked with newspaper such as Sharq , Bahar and Farhikhtegan. In the past she was arrested when she participated in Hoda Saber's funeral . According to a report by International Committee Against Execution in two weeks Islamic regime has executed 153 Iranian people. Mansour Arvand An Iranian -Kurdish Political prisoner Is Executed Yesterday. According to a news by Kurdish Human Rights Group , Mansour Arvand a Kurdish -Iranian political prisoner who was recently transferred from Mahabad prison to Miandoab prison is executed on Sunday morning. 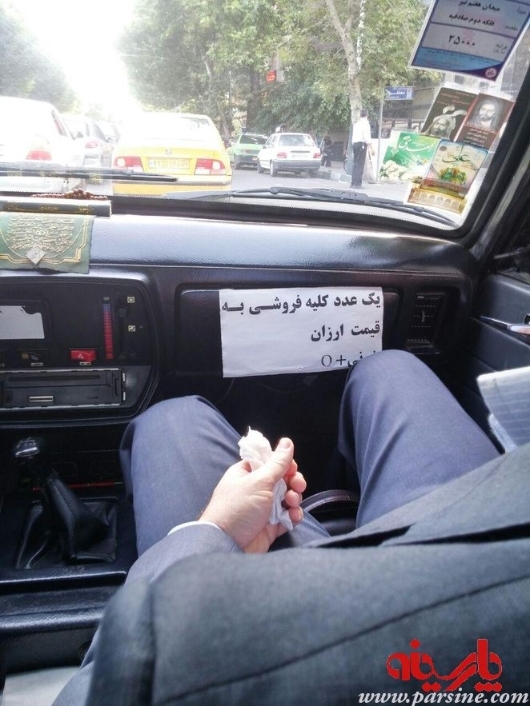 According to this news ,while he was in Mahabad prison ,he was told that his death sentence was reduced to life imprisonment. A family member told to Kurdish human rights group that , we have received a call from Miandoab prison about his execution . Mansour was arrested four years ago at his home in Mahabad. After arrest he was under intense investigation and torture and one year later the judiciary sentenced him to death. How Many Mothers together with their children are inside regime prisons ? According to news released by regime , 426 babys and their mothers are in regime prisons in various prisons around the country. Really how many of these kids or baby's are in prisons ,and why ? Foreign Minister Zarif is a Lier, even singer and Concerts Under This regime is silenced or Cancelled for Various Nonsense Reason !! 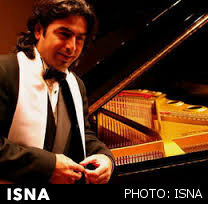 ISNA news agency reported that, the concert of " Parvaze Homay " which was supposed to go on for five nights in Tehran was forced to cancel due to an order by judiciary power.
" Parvaze Homay " had no show for eight years . The organizers told to those who have bought the tickets earlier ,the money would be deposited in their account. Although all preparation was made and all the permission was given to the organizers to go ahead for the show but it was cancelled . In response to this ,the singer of the " Parvaze Homay " Mr. Saeed Jafarzadeh Sar Gourabi said; I don't understand why the officials in the judiciary won't allow us to go ahead for the show , if i had mistakes in the past ,i already admitted and i am ready to compensate , be patient , see me today and my future and then decide, i don't know where these all accusation against me comes from , they have to give me the opportunity to go on the stage and fulfill my response and responsibilities. I am the son of this revolution and i will remain loyal to this country as long as i am alive. According to this news , the judiciary accused the singer as counter revolutionary. The " Parvaze Homay " or " Mastan " group is a traditional song and music group. --In mid-January, police raided the printing house that produces the dailyCumhuriyet and the Istanbul Chief Public Prosecutor's Office launched a criminalinvestigation against the paper and two of its columnists, Hikmet Çetinkaya and Ceyda Karan, according to news reports. The columnists had republished the cover of the first edition of the French newspaper Charlie Hebdo since the deadly attackon the satirical publication on January 7. Instead of speaking out against those threats, top Turkish leaders calledCumhuriyet's decision to republish Charlie Hebdo content a provocation. Most notably, you said on January 15, that the paper was provoking people to launch an attack on it. --Also in mid-January, a Turkish court imposed a ban on coverage of allegations that gendarmerie in the southern Adana and Hatay provinces in January 2014 had intercepted trucks, allegedly belonging to the Turkish intelligence agency, onsuspicion of smuggling arms to Islamist rebels in Syria. According to the state media regulator, the Radio and Television Supreme Council, the gag order was necessary because of an ongoing investigation into the case. --At the end of December, Police raided the Istanbul home of Turkish TV journalistSedef Kabaş, detained her briefly, and confiscated her laptop and phone, she told the local press. Now, similar to Dutch freelance journalist Fréderike Geerdink, Kabas faces up to five years in jail in connection with her social media posts. She is being prosecuted for a tweet in which she named a prosecutor who had dropped corruption proceedings against high-level Turkish officials, the Turkish press reported. The charges against her include "targeting persons involved in the fight against terrorism," news reports said. --Also in December, police raided two media outlets perceived as affiliated with a movement led by U.S.-based Turkish cleric Fethullah Gülen. The editor-in-chief ofZaman newspaper, Ekrem Dumanlı, was detained in one of the raids and Hidayet Karaca, the chairman of Samanyolu TV, was arrested in the other. The two arrest warrants were part of a group of 31 issued by Turkish prosecutors that month on charges of "establishing a terrorist group," committing forgery, and slander, press reports said, citing Istanbul Chief Prosecutor Hadi Salihoglu. GENEVA (5 June 2015) – The detention of journalists and human rights defenders weakens the protection of human rights of all in Iran, United Nations Special Rapporteur Ahmed Shaheed has said today, expressing serious concerns at the arbitrary and unlawful arrest, detention and prosecution of journalists and rights activists in the country. “Silencing these critical voices is unacceptable - it undermines public debate and deprives Iranians and the rest of world of important information on the reality in the country,” said the independent expert appointed by the UN Human Rights Council to monitor and report on the situation of human rights in the Islamic Republic of Iran. “The recurrent use of vague references to threats to national security, propaganda against the system and insult to authorities to prosecute and detain journalists or activists is in contradiction to both international norms relating to freedoms of expression and association and the principle of legality,” Mr. Shaheed stated. The Special Rapporteur expressed special concern at the arrest, detention and trial of Jason Rezaian, a reporter of the Washington Post, and his wife, Yeganeh Salehi, a correspondent of the United Arab Emirates newspaper The National. On 25 May 2015, the trial of Mr. Rezaian started behind closed doors on charges of ‘espionage, collaboration with hostile governments, gathering classified information and disseminating propaganda against the Islamic Republic’. Mr. Rezaian has been arbitrarily detained since 22 July 2014, including for a number of months in solitary confinement, and wasn’t formally charged for nearly 10 months. “Journalists must be protected, not harassed and prosecuted for doing their jobs. The detention and trial of Mr. Rezaian and Ms. Salehi not only violate their individual rights, but also intimidates those working in the media in Iran,” he stressed. The independent expert was equally disturbed by the detentions of Atena Farghdani and Nargis Mohammadi, activists known for their human rights work. Ms. Farghdani, a children’s rights activist and artist was recently sentenced to 12 years and nine months in prison for ‘spreading propaganda against the system, gathering and colluding against national security and insulting members of the parliament and the Supreme Leader’. Ms. Mohammadi, the former vice-president of the Defenders of Human Rights Centre and one of the founders of the group ‘Step by Step to Stop the Death Penalty’, was arrested on 5 May 2015 in order to serve the remainder of the six-year prison sentence she had received in April 2012 on charges of ‘assembly and collusion against national security, membership in Defenders of Human Rights Centre, and propaganda against the system’. “Human rights defenders play a fundamental role in ensuring a democratic society which respects human rights,” the expert said, reminding the Iranian Government of its responsibility to ensure human rights defenders do not face prosecution for promoting and advancing human rights in the country. Mr. Shaheed’s call has been endorsed by human rights expert Mads Andenas, who currently heads the UN Working Group on Arbitrary Detention, as well as the UN Special Rapporteurs on human rights defenders, Michel Forst; on freedom of expression, David Kaye; on independence of the judiciary, Gabriela Knaul; and ; on torture, Juan E. Méndez. The UN human rights experts jointly urged the Iranian Government to release all journalists and rights defenders who have been arbitrarily and unlawfully arrested, and currently face detention and prosecution. My father was sentenced to 8 years of prison today, unfortunately. I just spoke to him on the phone and he is of a good morale. He's been sentenced to 5 years for 'Gathering and collusion against national security', 2 years for 'Insulting the Supreme Leader' and one year for 'Acting against national security in cyberspace)'. He has appealed and hopes to be released on bail before the appeal court. Please spread the news widely. Reporters Without Borders is appalled to learn that blogger and human rights activist Atena Ferghdani was sentenced to 12 years and nine months in prison on 2 June. She was arrested on 11 January when she responded to a summons from a Tehran court for postinga video on Facebook and YouTube on 26 December in which she described her experiences in Section 2A of Tehran’s Evin Prison – a section controlled by Revolutionary Guards – after a previous arrest last August. Her family said that during her court appearance in January she hit by guards as she was being taken off to prison. “The guards slapped my daughter right in front of us,” her father told journalists. She was put with non-political detainees in Gharchak prison in Varamin, a municipality south of Tehran. She was hospitalized on 27 February, 18 days after beginning a hunger strike. Her lawyer, Mohammad Moghimi, said she “had a heart attack and was taken to Firozgar Hospital in Sharrai.” She was transferred to Evin prison a week later. Two other human rights defenders, Atena Daemi and Omid AliShenas, were sentenced to 14 and 10 years in prison respectively the same day. Reporters Without Borders condemns the latest case of judicial harassment of Iran’s writers and journalists. Several members of the executive bureau of the Association of Iranian Writers were summoned and interrogated from 3 to 5 May. They included Reza Khandan Mahabadi, who has been charged with “anti-government publicity” and “publishing a newspaper illegally.” The charges refer to the association’s Facebook page. Plainclothes officers from the intelligence ministry searched his Tehran home on 29 April, confiscating his computer, hard drives and manuscripts. Iranian civil society’s oldest organization, the Association of Iranian Writers has been banned under both of the Shah’s two regimes and the Islamic revolution. Two of its leaders, the writers and journalists Mohamad Makhtari and Mohamad Jafar Pouyandeh, were murdered in 1998. The former editor of Nameh (The Letter), an independent monthly closed by the authorities in 2005, Behbahani was arrested on 13 June 2009, the day after President Mahmoud Ahmadinejad’s disputed reelection, and was convicted on 2 February 2010. 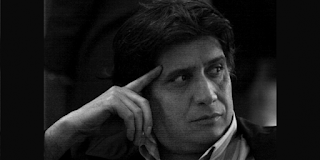 He was also banned from working as a journalist and, all the time he was held in an individual cell in Section 209 of Tehran’s Evin prison and in various sections of Rajaishahr prison, he was subjected to a great deal of pressure to renounce his journalistic commitments. The suspension was prompted by a special issue about “white marriage” – cohabiting without contracting a formal Islamic marriage, a growing trend among young couples. Entitled “White Marriage, social ill or cure,” the issue elicited angry reactions from conservative media that support Supreme Leader Ali Khamenei. Reporters Without Borders has learned that Yaghma Fashkhami, a political reporter for the pro-reform daily Roozan, has been released on bail pending trial after being held for three and a half months. He was freed on 11 April. Plainclothes intelligence officers arrested him on 24 December, a day after the prosecutor’s office closed the newspaper because of an alleged “irregularity” in the supplement it published with its 20 December issue to mark the fifth anniversary of Ayatollah Hossein Ali Montazeri’s death. The public prosecutor has given his permission for the newspaper to resume publishing in a letter to the deputy minister of culture and Islamic guidance dated 23 March. Reporters Without Borders is relieved to learn that four lawyers and contributors to the Sufi news website Majzooban Noor – Afshin Karampour, Amir Islami, Farshid Yadollahi and Omid Behrouzi – were released on 2 March as a result of a court decision to halve their jail sentences. Arrested in raids in Tehran and Shiraz from 8 to 10 September 2011, they were sentenced to seven years in prison at the end of an unfair trial before a Tehran revolutionary court on 13 July 2013. Last December, a Tehran appeal court reduced their jail terms to three and a half years (plus a suspended 30-month term). six other contributors to the site who were given jail terms ranging from six to ten years – Reza Entesari, Hamidreza Moradi, Mostafa Abdi, Kasra Nouri, Salehldin Moradi, and Mostafa Daneshjo – are still detained. Reporters Without Borders condems the blocking of two websites since yesterday at the behest of judicial officials. They are Jamaran, the official site of the Islamic Republic’s late founder, Ayatollah Ruhollah Khomeini, and Bahar, a site that support Iran’s reformers. The judicial authorities ordered them blocked for posting a photo of former President Mohammad Khatami attending the mourning of a member of the Khomeini family. Judicial system spokesman Golamhossien Mohsseni Ejehi told the media on 16 February that any coverage of Khatami was henceforth banned at the behest of the High Council for National Security and Jusice. Media that ignored the prohibition would be subjected to publishing bans or other sanctions, he warned. Reporters Without Borders condemns the 21 February arrest of Ali Maghamai, a journalist and son-in-law of a prominent human rights defender, to begin serving a jail sentence he received more than a year ago. Originally arrested on 27 December 2010 and then released on bail, Maghamai, was sentenced to four months in prison on 11 January 2014. He was also given a suspended eight-month jail sentence. He did not appeal and was not told that an appeal court had upheld the sentence. The editor of the networking section of a website specializing in information technology, Maghamai also worked for several reformist newspapers including Mardom Emroz, which was closed last month. Like Mardom Emroz editor Mohammed Ghoochani, he is the son-in-law of Emadoldin Baghi, a leading journalist and defender of prisoner rights who has been hounded by the authorities. Prosecutors attached to the Tehran “media and culture” court charged Ghoochani on 26 January with “insulting Islam” for publishing a front-page photo of US actor George Clooney under an “I am Charlie” headline on 13 January. The Islamic Republic’s intelligence services still often harass the relatives of leading journalists and human rights defenders as a way of putting pressure on the media. 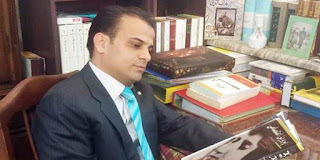 Reporters Without Borders condemns the six-month jail sentence imposed on former journalistAbass Salimi Namin, who heads an Iranian history research society and edits its website (http://www.irhistory.com/index.php). Namin was given the six-month sentence for his comments about former President Mahmoud Ahmadinejad in a 2011 TV debate, in which he said “Ahmadinejad’s extravagance was the result of the conservatives’ silence.” He was also sentenced to 74 lashes and a fine for insulting the judicial authorities and those running the University of Tehran. Namin used edit to Kyhan Havai ­– a supplement of the newspaper Kyhan that was targeted at diaspora Iranians and stopped publishing in 1998 – and for years was one of a number of journalists known to have close links with the intelligence services. Reporters Without Borders condemns the Tehran culture and media court’s decision to close the online newspaper HMA, which derives its name from the initials of “Supporters of Mahmoud Ahmadinejad” in Persian. The newspaper posted the court’s decision on its front page today. Issued on 26 January, the ruling said HMA is to be closed under paragraph D of article 7 of the press law for “publishing without permission,” and in order to “prevent the occurrence of a crime” under paragraph 5 of article 156 of the constitution. President from 2005 to 2013 and, like Supreme Leader Ali Khamenei, named as a Predator of Press Freedom by Reporters Without Borders, Mahmoud Ahmadinejad was one of the architects of a relentless crackdown on opposition politicians, journalists and human rights defenders accompanied by Stalinist-style trials. Dozens of newspapers were closed during his two terms in office and more than 200 journalists and bloggers were arrested after his controversial reelection in June 2009. Some of them are still in prison. In its 10 January issue, the weekly published an open letter by Ali Motahari, a moderate conservative parliamentary representative for Tehran, to Mohammad Sadegh Amoli Larijani, the head of the Judicial Authority. The three detainees include two 2009 presidential candidates. They are Mir Hossein Mousavi, a former prime minister and owner of the closed newspaper Kalameh Sabaz, and Mehdi Karoubi, a former parliamentary speaker and owner of the closed newspaper Etemad Melli. The third detainee is Mousavi’s wife, best-selling author Zahra Rahnavard. Detained on 24 February 2011, they have been held under house arrest and denied all rights. Before its closure, Setareh Sobh had been planning to publish its first issue as a national daily this week. Reporters Without Borders has learned that Mohammed Ghoochani, the editor of the reformist daily Mardom Emroz, was charged yesterday before a Tehran “media and culture” court with “insulting Islam” for publishing a front-page photo of US actor George Clooney under an “I am Charlie” headline on 13 January. Ghoochani’s lawyer, Mahmoud Alizadeh-Tabatabaie, said he was granted a provisional release pending trial after payment of 100 million toman (100,000 euros) in bail. Mardom Emroz was closed on 17 January. Reporters Without Borders has also learned that Mehrdad Sarjoui, a Tehran-based journalist who used to work for several English-language newspapers, was released on 13 January after being deemed to have completed his main sentence. Sarjoui was returned to prison on 28 November 2012 after getting a three-year jail sentence and a suspended seven-year sentence. He was previously arrested on 14 January 2011 and sentenced to 10 years in prison by a Tehran court on a charge of “espionage by publishing interviews of citizens of enemy countries.” An appeal court subsequently commuted the sentence. Reporters Without Borders has learned that Zahra Khandan, a former journalist with several reformist news outlets who defends women’s rights online, was arrested at her Tehran home on 19 January by Revolutionary Guard intelligence operatives in plain clothes. Her home was also searched. The authorities have not said why she was arrested or where she is being held. According to the information obtained by Reporters Without Borders, several other women’s rights activists have been arrested in Tehran after campaigning for the release of Mahdieh Golro, a fellow activist arrested during a protest outside the parliament building in Tehran on 22 October in protest against a series of acid attacks on women in Isfahan and Tehran. Reporters Without Borders condemns young human rights activist Atena Ferghdani’s arrest in a Tehran court on 11 January when she responded to a summons about the video she posted on Facebook and YouTube on 26 December in which she described what happened to her after her arrest last August. 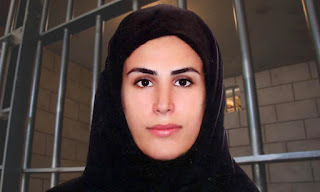 After her arrest on 24 August, she was incarcerated in Section 2A of Tehran’s Evin Prison – a section controlled by Revolutionary Guards – and was held until 2 November, when she was released on bail on 600 million toman (700,000 euros) pending trial. Her family said that during her appearance in court she was the victim of violence by the guards who took her off to prison. “The guards slapped my daughter right in front of us,” her father told journalists. She is currently being held in Gharchak prison in Varamin, a city to the south of Tehran. It is a prison used for holding non-political detainees.